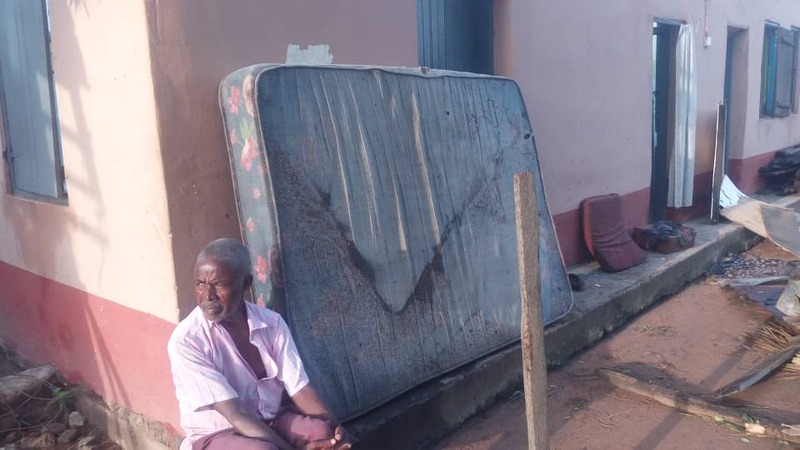 A heavy rainstorm Wednesday evening wreaked havoc at Sokode Ando, a community in the Ho Municipality of the Volta region. 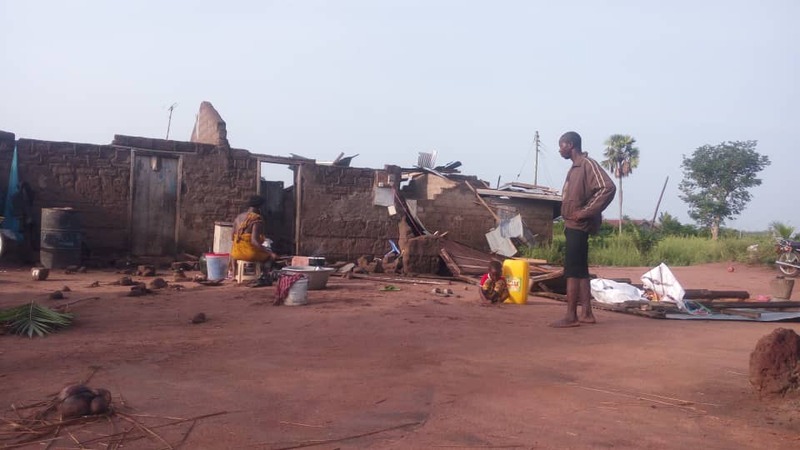 More than 35 houses including a Basic School have been ripped off by the rainstorm, displacing learning and teaching materials including personal belongings of indigenes. According to the residents, the heavy rain started with a storm at 5 pm and within 15 minutes, it ripped off roofing with at least three people having been injured including infants. 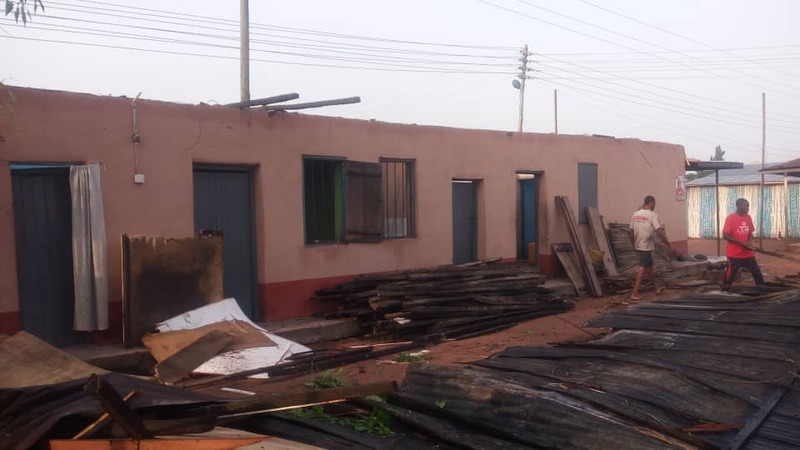 Starrfm.com.gh’s visit to the community on Thursday morning saw residents in a worrying situation and teaching and learning materials of the affected school, Sokode Ando Municipal Basic, have been damaged and residents roaming around their various collapsed buildings aimlessly. “This is my house and a store attached to it, this is where we do everything, but as you can see the roofs have now been ripped off, no room for our business, and even a place to rest, this is all I got, my room was fully flooded yesterday if you were to be here you will know what I mean, so this morning I’m helping my wife to pack out some of the damaged items….,” a resident said. The situation also forced some residents to sleep in detached kitchens and others flee to a nearby community to seek refuge. “The rain started not too long after I returned from the market, my husband was not even back from the farm by then so I’ve to face everything here, in the process of packing to the belongings he came back to join me to pack…we sent some of our things to our family house… as you can see ours is worst, we have no place to sleep, we managed the kitchen over the night,” a woman also bemoaned. The Assemblyman of the community, Ericson Ganyo said the situation is really worrisome, however, he has communicated to the Member of Parliament of the area, Mr Benjamin Kpodo for assistance. He has also asked NADMO officials in the Municipality to as a matter of urgency come to the aid to the community. The headmistress of the affected school, Sallah Victoria said although the disaster has affected their activities, she is putting things into place to enable the students to sit for their upcoming exams. She further added that she reported the tragedy to the Municipal Education Directorate and they are waiting for immediate reactions. Officials of the Volta regional National Disaster Management Organization (NADMO) have been in the community and promised to return in the due time.